Here’s everything you need to know about Sony’s upcoming open world zombie title. 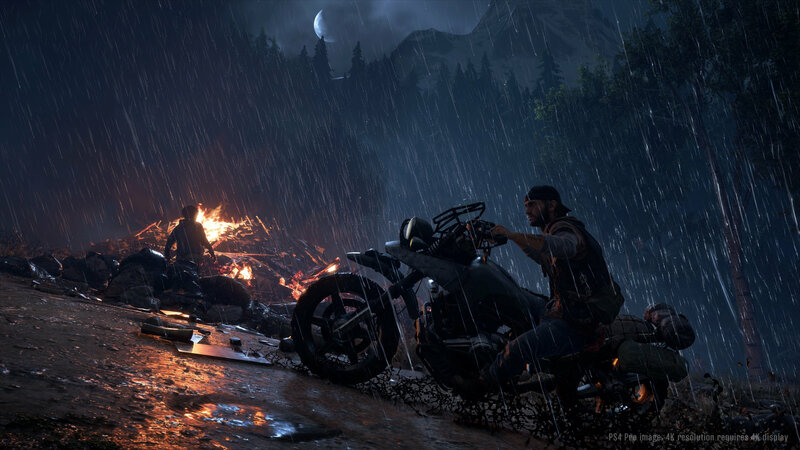 From the mind behind Syphon Filter, Days Gone, Sony’s next major PS4 exclusive is almost upon us, promising a harrowing and intense narrative driven open world experience where everything in the world is out to get you. We’ve been able to learn quite a bit about the game in the last few weeks and months, and here in this feature, in anticipation of its looming launch, we’ll be taking a look at fifteen vital pieces of information you should know about it. Without further ado, let’s begin. 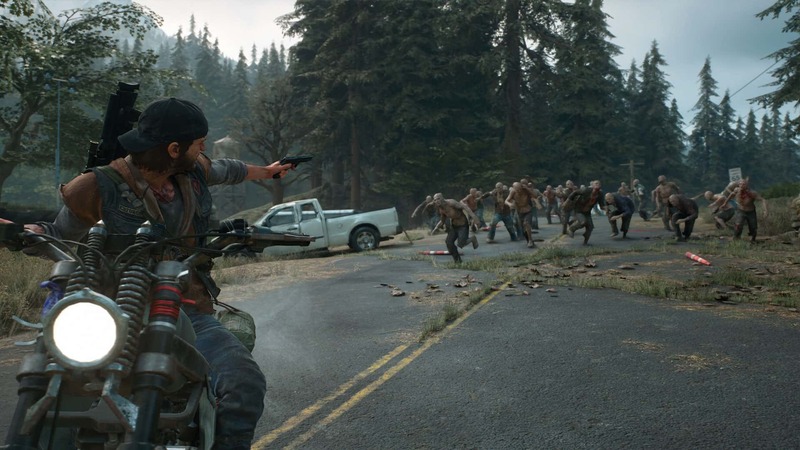 Days Gone, as you may have guessed, is set in a post-apocalyptic world, where two years ago, a deadly plague ravaged the world and killed a large part of the population, while turning many others into ravenous, mutated, and zombified creatures known as Freakers. The survivors now struggle to survive against these deadly beasts, while outlaws and bandits also roam freely. In this backdrop, we play as Deacon St. John, a former biker turned mercenary-slash-bounty hunter. 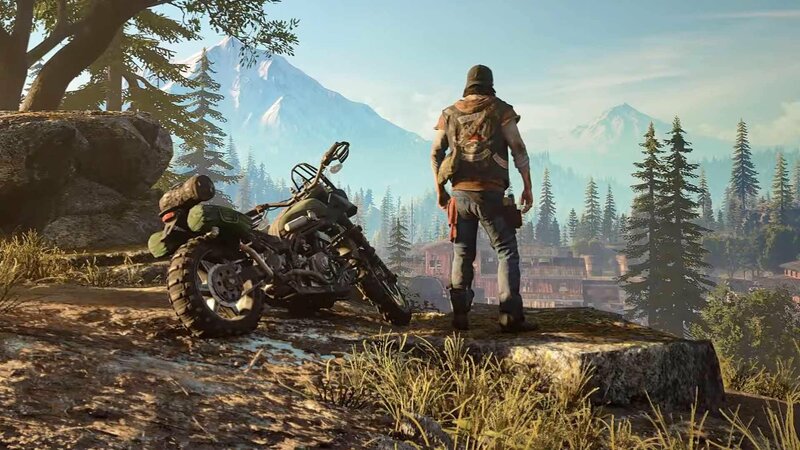 Days Gone takes place in the Pacific Northwest, in the backyard of developers Sony Bend, who chose this setting after quite a bit of thought, actually. They to explore the region’s rich, dense, and varied topography, which they felt hadn’t been represented much in video games before. 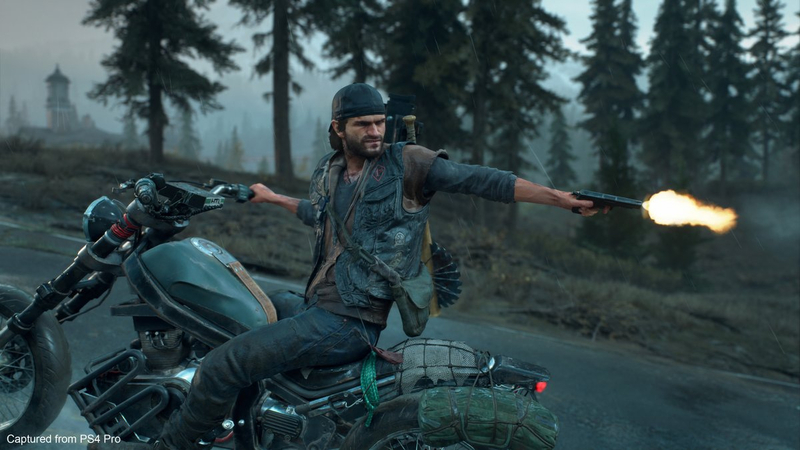 Days Gone will also have dynamic weather mechanics functioning in the open world- which has become something of a norm in most open world games these days, but hey, we’re not complaining. These weather effects will include storms, rainfall, snow, and more. Of course, there will also be a day and night cycle, which will interact some other systems within the game as well. For instance, during nighttime, the zombiefied creatures known as Freakers grow stronger and more ferocious, while during daytime, they are slower and weaker, which is something you’ll have to take into account while attempting any and all activities. But what about these Freakers, who’re clearly the stars of the show? Let’s talk about them for a bit. 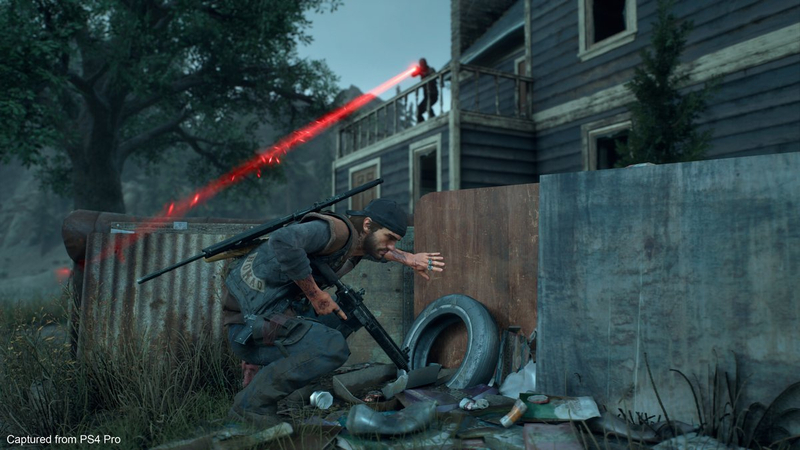 In Days Gone, players will come across several different kinds of Freakers. These include Swarmers – aggressive and extremely agile zombies who often travel in massive hordes– or Newts – younger zombies who tend to stay away from other humans and creatures, and only attack when provoked or if they sense their target is weak – or Screamers – who can summon Swarmers by screaming if they should ever spot prey. 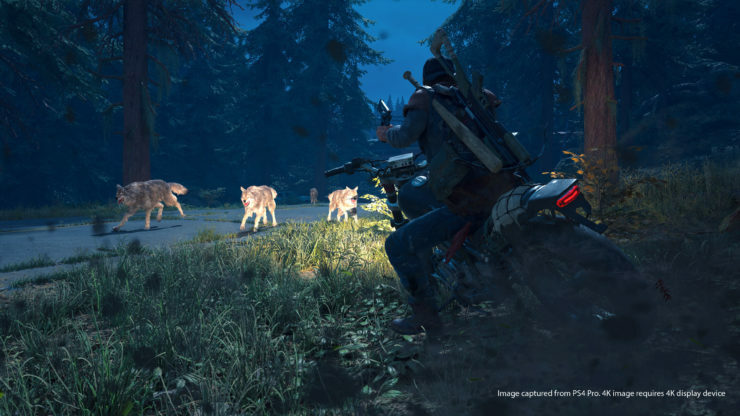 But it’s not just humans who have been zombified- in the world of Days Gone, players will encounter Freakers in the form of bears, ravens, wolves, and a lot more as well. 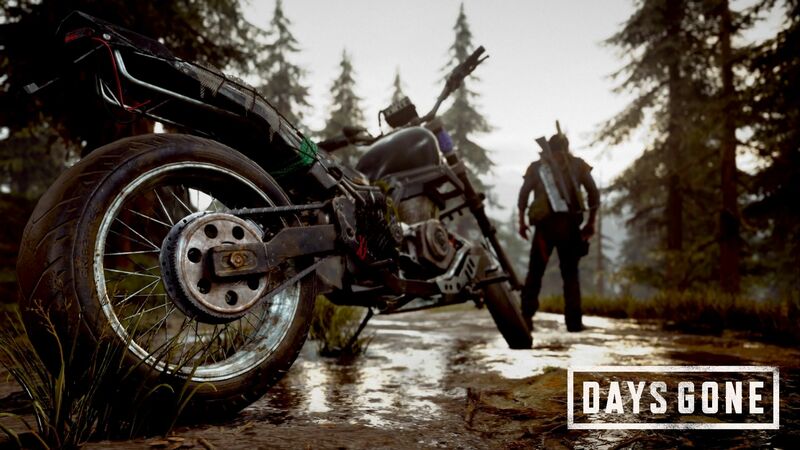 Littered throughout the world of Days Gone are also going to be Freaker nests- which is exactly what it sounds like. These also act as fast travel points, which first have to be unlocked. How do you do that? By burning them, and then clearing them of all Freakers inside. 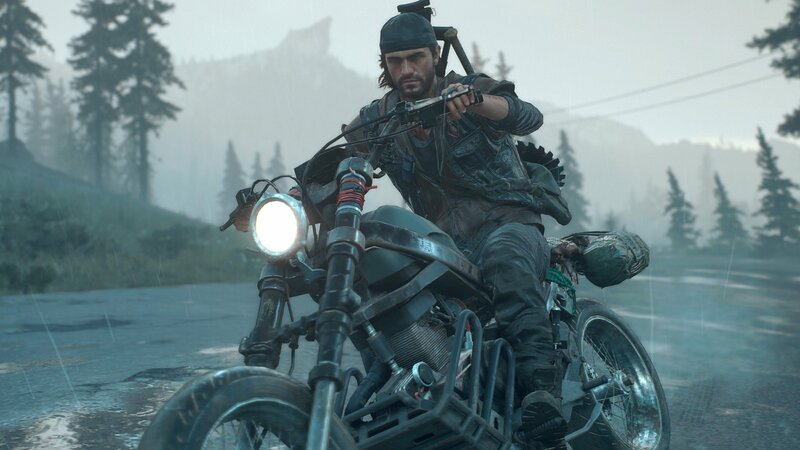 A game’s length is something that can often make or break the deal for many players, but thankfully, Days Gone isn’t going to be lacking in this area. The developers have confirmed that the game will be roughly 30 hours long – which seems to be ideal for an open world title. Of these thirty hours, six hours will be cutscenes, so we can expect a pretty heavy narrative focus as well. Wait, did I say the Freakers are the stars of the show in Days Gone? Scratch that- clearly, it’s the bike. Being a former biker, it makes sense that Deacon’s best friend in the whole wide world is his bike. Think of it as the Roach to Deacon’s Geralt- only more integral to gameplay, being used for traversal, having its own dedicated physics, and several other systems and mechanics. One of the mechanics related to the bike that we just mentioned is customization- of course you can customize your bike. You can increase the amount of inventory space it has (since Deacon’s own inventory is going to be slightly more limited), improve its performance, while also add modifications to help you survive in Days Gone’s harsh open world that much better. 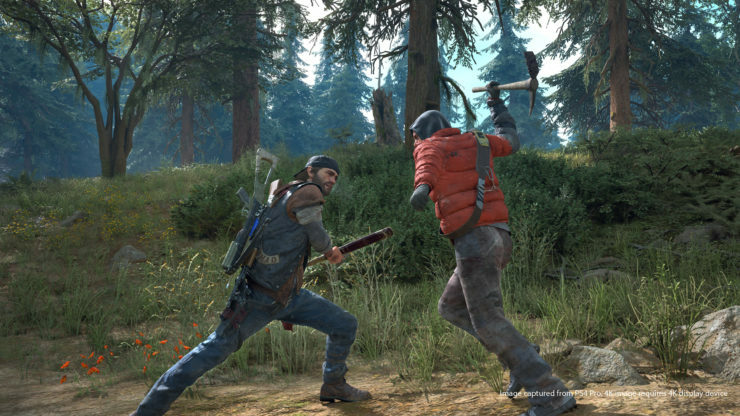 Crafting is also going to be an important mechanic in Days Gone. Littered throughout the game’s world players will find scrap an resources, that can be use to craft a number of things that will be crucial to survival. Things includes everything from weapons to clothing to motorcycle upgrades. 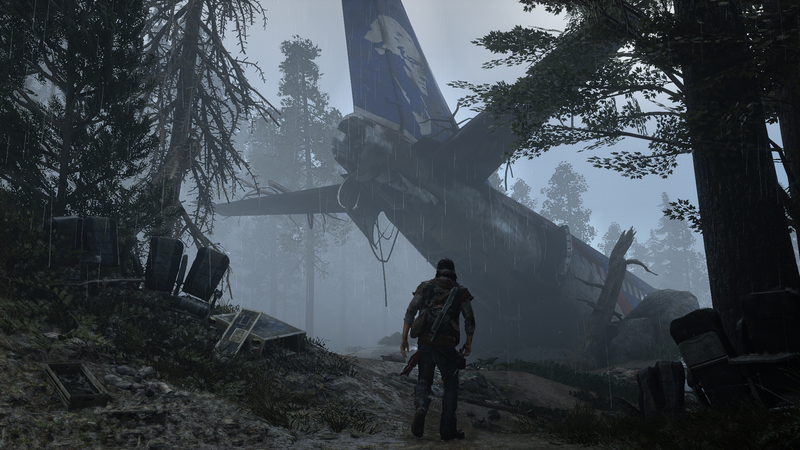 Stealth is often going to be the best way to approach combat situations in Days Gone. It will, of course, come in incredibly handy when you find yourself facing tough odds against large numbers of Freakers, or when you chance upon a horde. But even when you’re up against bandits and human enemies, it’ll still be a good idea to take the stealthy approach. 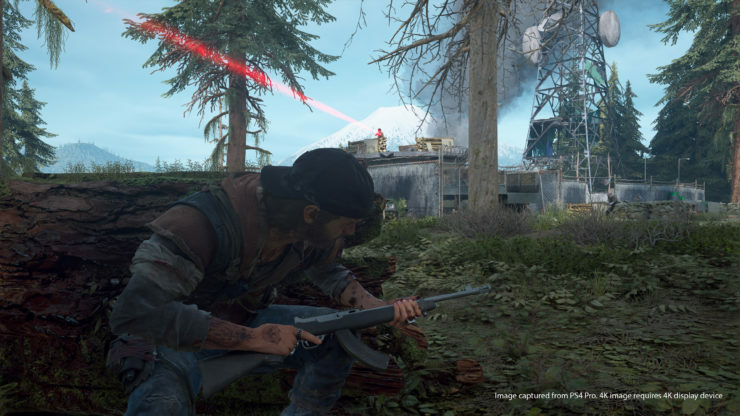 It’s not all about guns in Days Gone, as you may have imagined- in case you want to save ammo, or find you want to get up close and personal, there will be plenty of melee weapons in the game for you to use. Players can also craft melee weapons using resources found in the open world, but these weapons can’t break, and won’t last forever. When you are using guns, however, you will also be able to use an ability of sorts known as Combat Focus. Combat Focus will allow you to slow down time for a few seconds while its meter runs out. You can use this extended time to take aim at enemies with more accuracy and take them out. 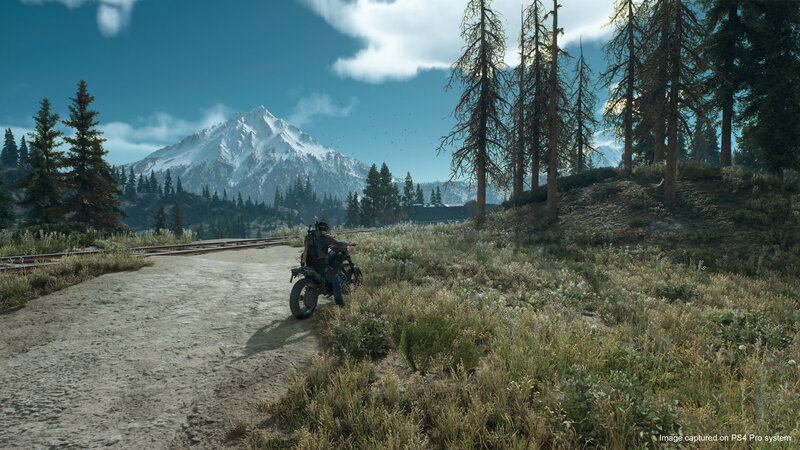 The world of Days Gone is going to be a dangerous place, as has become pretty clear by now, but there will be a few pockets of safety here and there for you to catch your breath in as well. Safe houses are scattered throughout the map, where players will be able to restock ammo, or go to sleep to pass time, such as during nighttime, when Freakers are most active and dangerous. 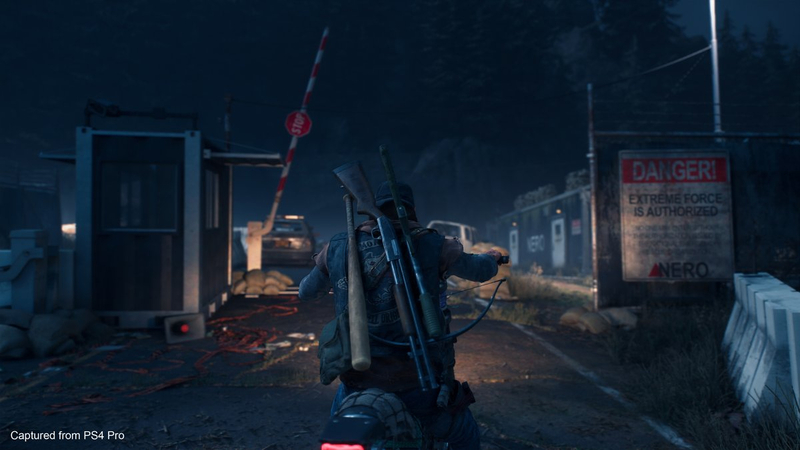 As is starting to become the norm in most open world games these days (or really, most games in general), Days Gone will launch with a photo mode, which is promising to be one of the most full-featured photo modes we’ve ever seen. 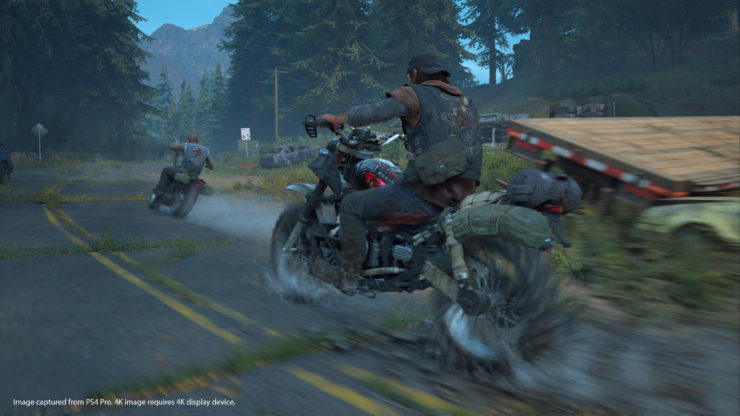 With tools such as visibility toggles, focus lock, a total of eighteen filters, stickers, and a lot more, Days Gone’s photo mode will provide plenty of mileage to those who enjoy that sort of thing.